Have you heard of these rulers? I think they’re great for squaring up HST’s. they have a ridge across the center that catches on the seam and holds it snug while you square up the block. I like to use a rotating mat when squaring up the blocks, so I can just turn the mat without lifting the ruler. 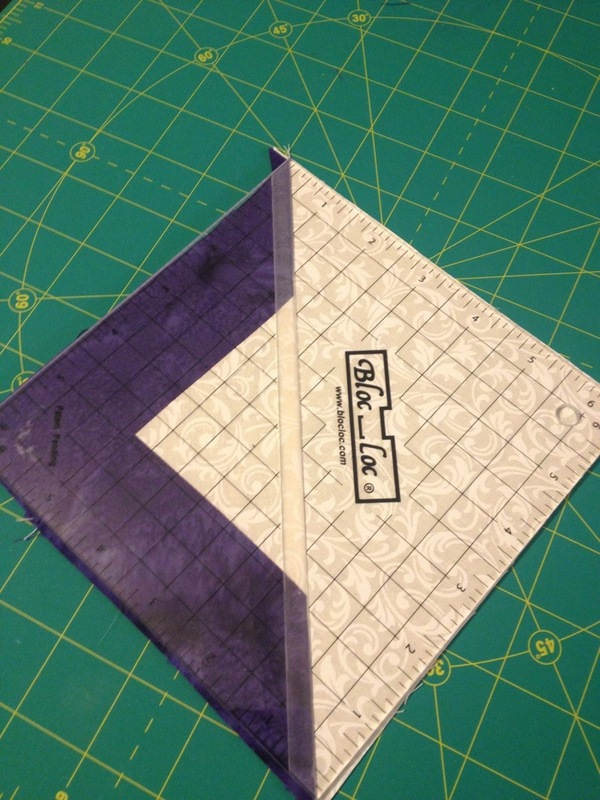 I bought the Half Rectangle Triangle ruler in Houston, but haven’t tried it yet. 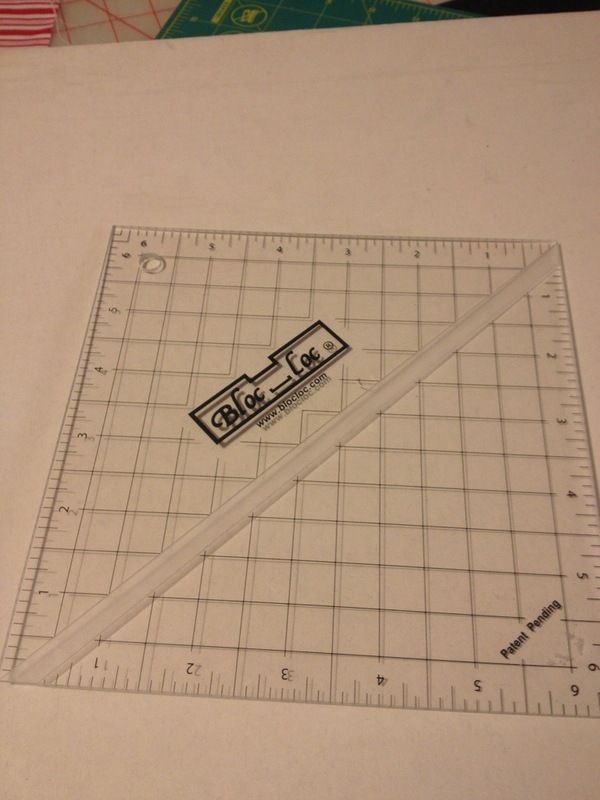 Anyway, if you hate having your ruler slip when you square up half square triangles, I highly recommend using these rulers.